The first inkling that the afternoon might become an uphill struggle, was when a traffic sign cheerfully informed me that the bridge was closed at Blairdryne. I was just heading out of Stonehaven on the locally infamous Slug road, hoping to make it to Ballater by nightfall, and I started to wonder if I should shelve my plans as it was already well past two thirty. The diversion was via the dual carriageway so that was a non starter, and a quick look at the map confirmed that the first turning west into the Dee basin was just past the bridge, so it was all a bit of a gamble. I was hoping to make it on to Fairdouran and back the next day, which was a ambitious plan as it was, but I was as focused as always, and knew the forecast was for wall to wall sunshine for the next 48 hours. I set off envisaging a river crossing if need be, and was mightily relieved when a fellow cyclist coasted down the hill towards me, about twenty minutes into the route. He stopped for a wee chat, and said that they were only repairing the wall to the bridge, and there wasn’t even a barrier. Feeling instantly a lot better, I asked him how steep the hill was to the pass, and he replied ‘ach not bad, as long as you’ve got some gears to play with it’. No problem then. Well momentarily at least, as literally fifty yards back into the pedals my rear deraileur gear changer finally gave up the ghost, having been loose for a while, and quietly fell onto the tarmac. To make matters worse the front deraileur itself had seized up god knows when. I’d meant to get the bike serviced before heading out, but it always seemed to be at the bottom of the to do list. I gamely tried to put the changer back together, but it was well beyond repair, so there was nothing left for it but to push on in single speed. The chain was fixed in quite a high cadence, so this wasn’t going to be a piece of cake, but I was in the zone by then, and wasn’t going to let anything stop me come hell or high water. I beasted up the hill getting more and more pumped, and was so wired I didn’t even stop at the top, making the decision to only take a rest when I got to the bridge, just to make certain that the way was clear. It was only when I got off the bike that I realised that I’d pushed too far in the red zone and had completely bonked, having failed to eat anything bar fruit gums since breakfast. 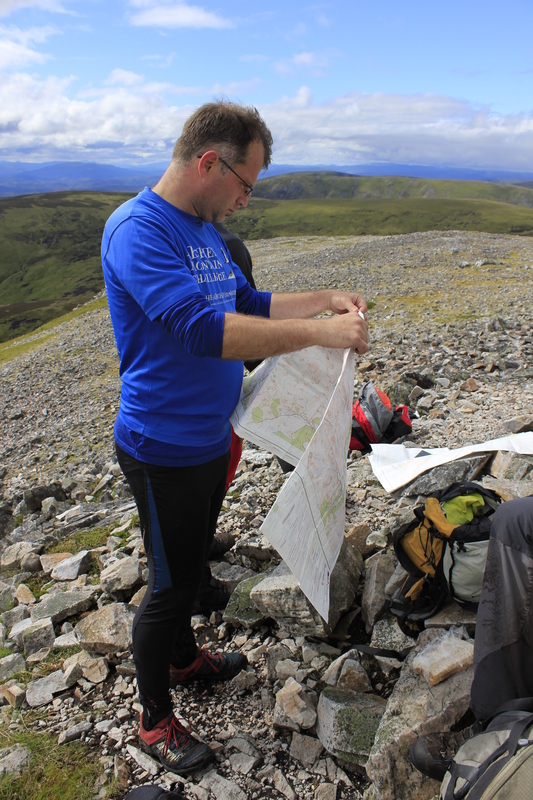 I limped the three miles into Banchory in a bit of a daze, and was only just coherent enough to order tea and a sandwich from the first cafe I could find. Well, it could have all gone Pete Tong from here, but fortunately the force is strong at the moment. Within half an hour I had recovered enough to be back on the road, and as it was well into the evening, the A93 was almost completely traffic free. 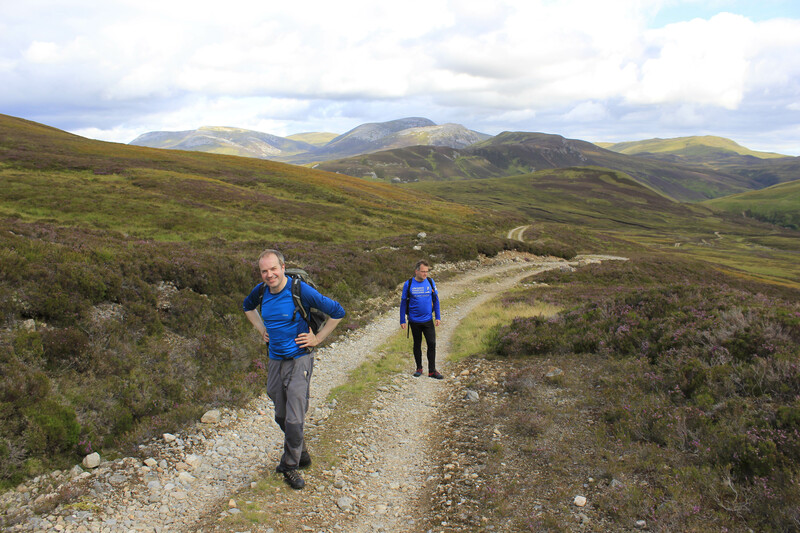 The couple who ran the camp site in Ballater were friends of friends, and turned out to be the most generous people you could ever hope to meet. 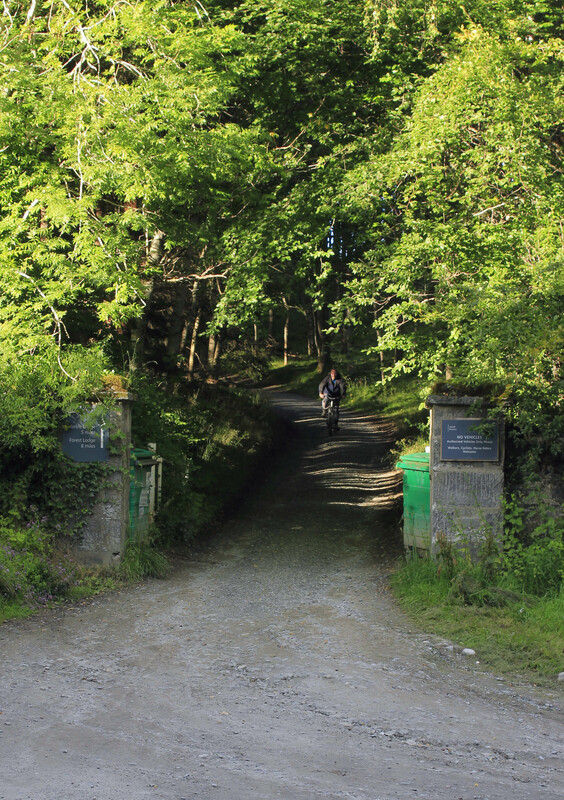 Having heard my tale of woe, a mountain bike was offered for the run to Fairdouran, breakfast and dinner promised if I was up for it, and there was no question that they would charge me for my tent fees. I couldn’t thank them enough. 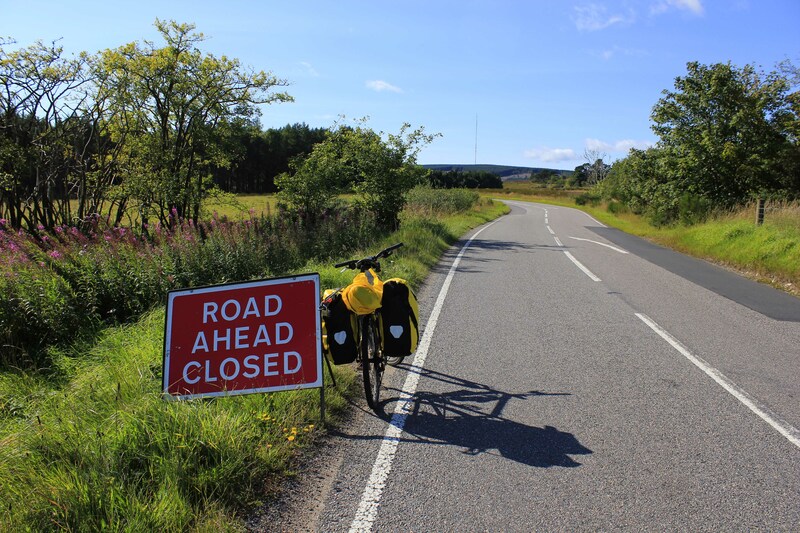 I bought pastries and fruit round in the morning, put my wounded machine into the bike shop for repair, and sped off up the Tomintoul road in excellent form. 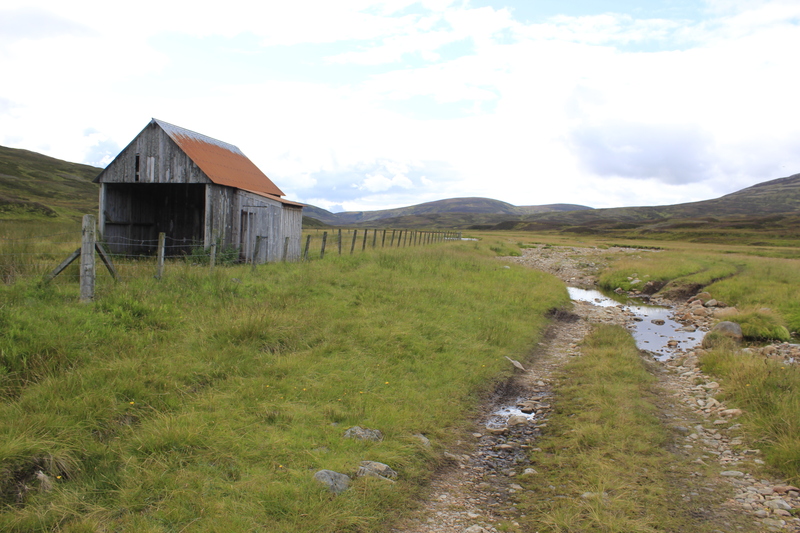 Fifteen miles up and down to Cockbridge, a very deliberate stop for an early sandwich, and a fun couple of hours chugging along the track west into Glen Avon. 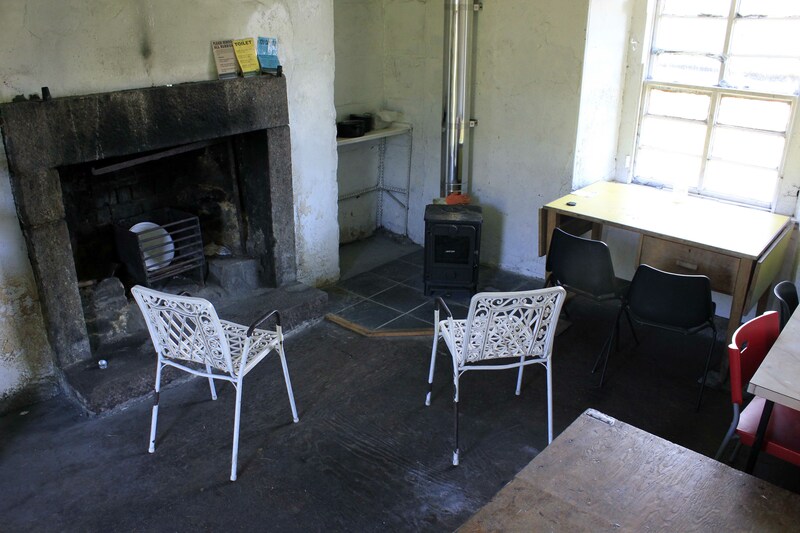 The bothy is just about on the mend after suffering an almost terminal collapse in a winter storm eighteen months ago, and although a planned push onto the Fords of Avon refuge was filed for another occasion, I was very happy with my lot. Stopped for a quick dip on the way out back out to the road, and was still just in time for tea and lemon sponge at the cafe at Corgarff. 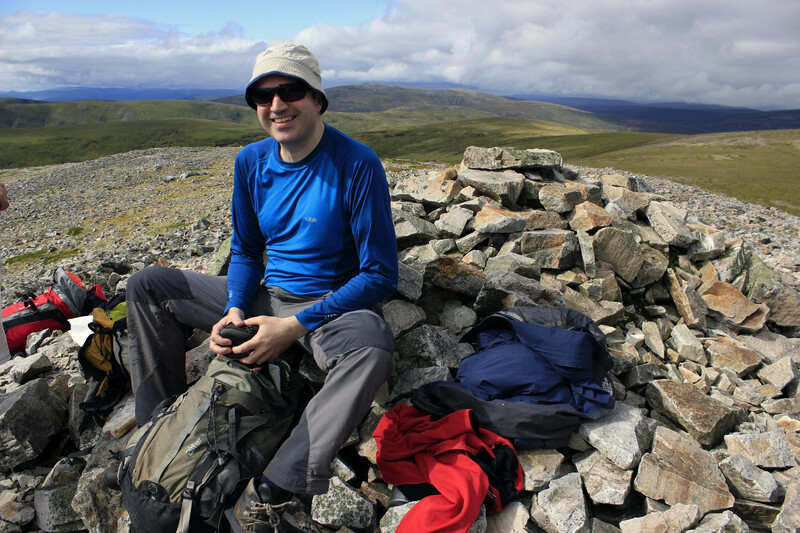 Just the small matter of a 200m ascent to the summit layby on the A939 before sitting back in the saddle down to Ballater, and a date with a pasta bake. Popped into to see a mate in Torphins on the way back to Stonehaven, and although I have been swithering about admitting it, he slung my bike into the back of his estate and took me back to the bealach on the Slug road, so all I had to do was free wheel back down the hill, and had just enough time to change into my civvies before the train came. Rendrezvous in Dundee sadly missed, but in the circumstances I think I had had a good run as it was. 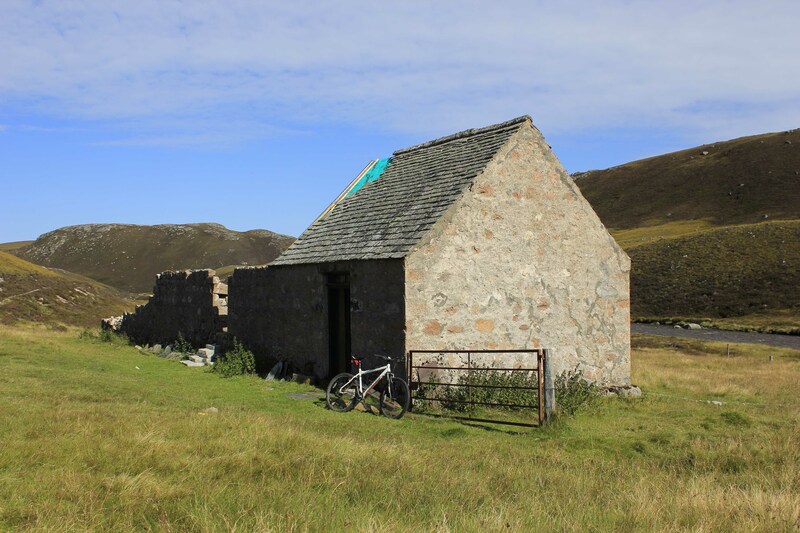 Three days, two bikes, one bothy. Job done. Next! 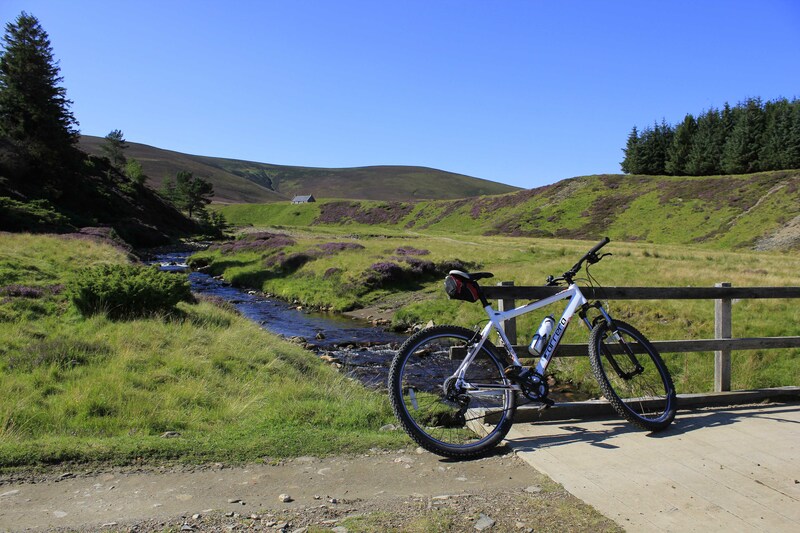 This entry was posted in cycle tours and tagged Faindouran on September 8, 2015 by bothiesonabike. To say that John and I are still ultra competitive in the little things in life after all these years, is probably an embarrassment. Though nonetheless true. Monday the weather was kind, and with Phil on board, the musketeers set off to Forest Lodge from the Glen Tilt car park in fine spirits. A little sleep deprived perhaps, but that wasn’t going to slow the pace any, as we had been talking about this trip for so long it was a relief to be finally on our way. 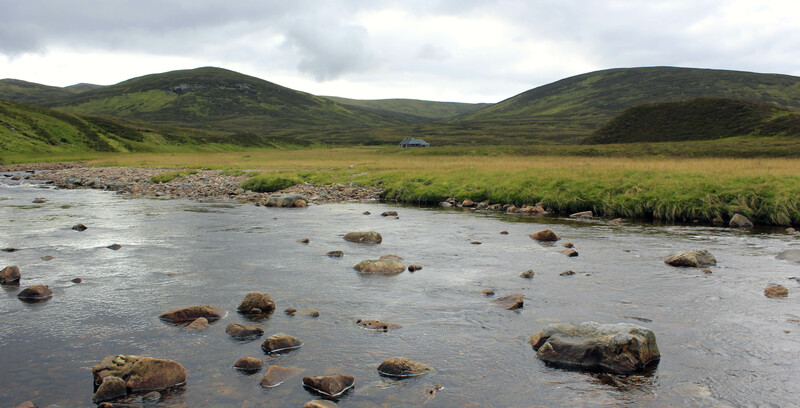 The Tarf hotel is one of the most remote of the MBA bothies, stuck out in the middle of nowhere between Beinn Dearg and Beinn Aghlo. 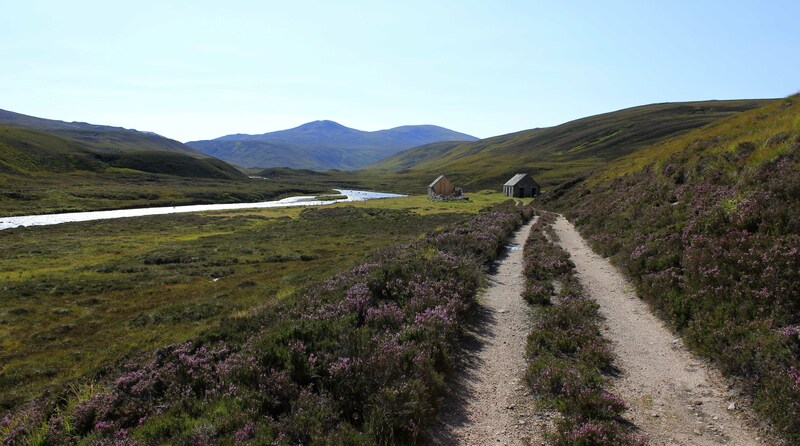 The only decision to be made was if we were going to cycle round to stables on the River Tarf, which would involve a mile or so of ascent, or park up at the lodge and hoof over Carn a’ Chlamain. The latter option won out, and for me this would be two ticks in a day, which was the height of efficiency. And more significantly the Tarff is one of the last five MBA’s to visit before I complete the full round. I’m beginning to get finishing fever. 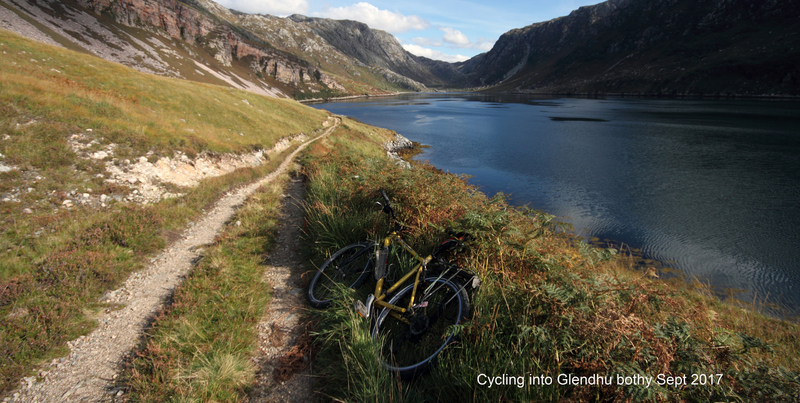 It is a wonderful cycle up Glen Tilt, and we couldn’t believe it was over ten years ago that any of us had been here. 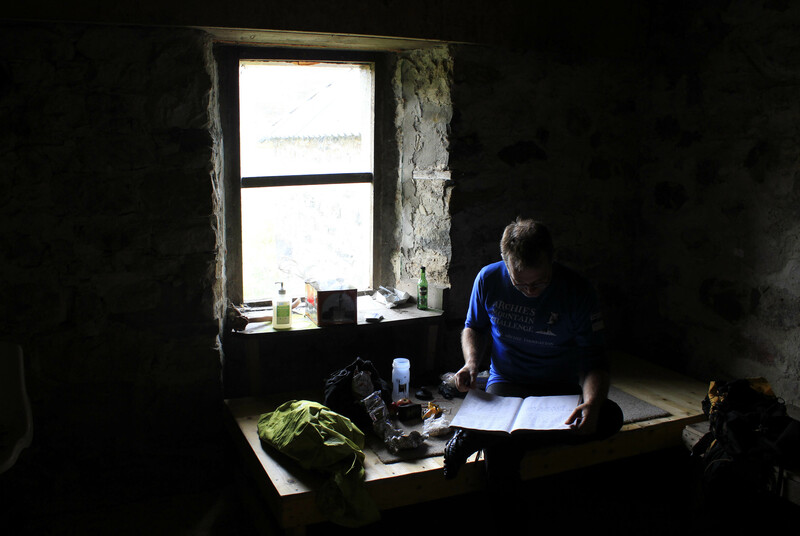 Slow on the way up to the summit, but John and I tumbled down to the bothy in quick time, leaving Phil to arrive at a more leisurely pace. Despite my protestations that I couldn’t run any more, my back just not up to snuff, I pulled out the stops in a burst of energy that really surprised me. I have recently been inspired to get back into the running saddle, and have been loyally doing my exercises, which has definitely helped. Anyway we both coasted to the stream outside the Tarf in a joint finish, and I couldn’t help the impulse to shake hands on the matter. 3k, but it’s a start. I had run in with a mono-pod, and also I discovered my bike pump, though John had stuffed in his jeans, and all the lunch. Score draw. 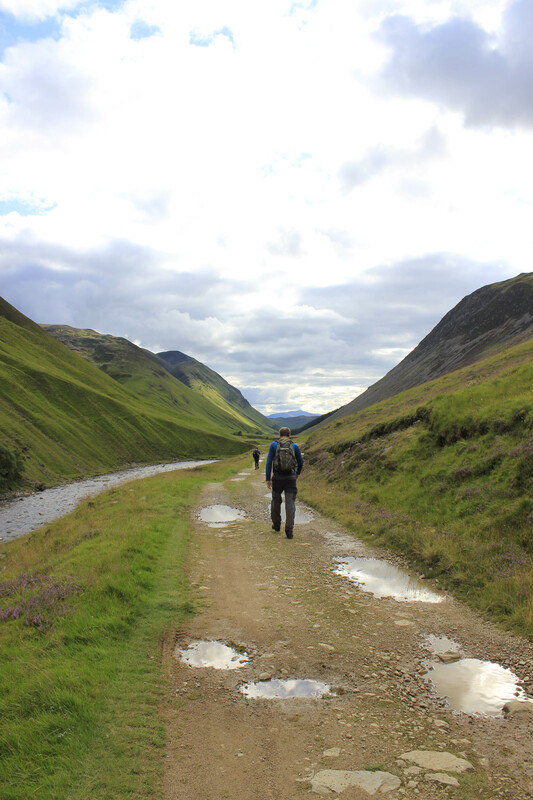 So after the necessary photo-shoot, we were off again, deciding against going back up the hill and over, and instead traversing round and back to Glen Tilt via the stables. A long old haul, but satisfying to do the full round. 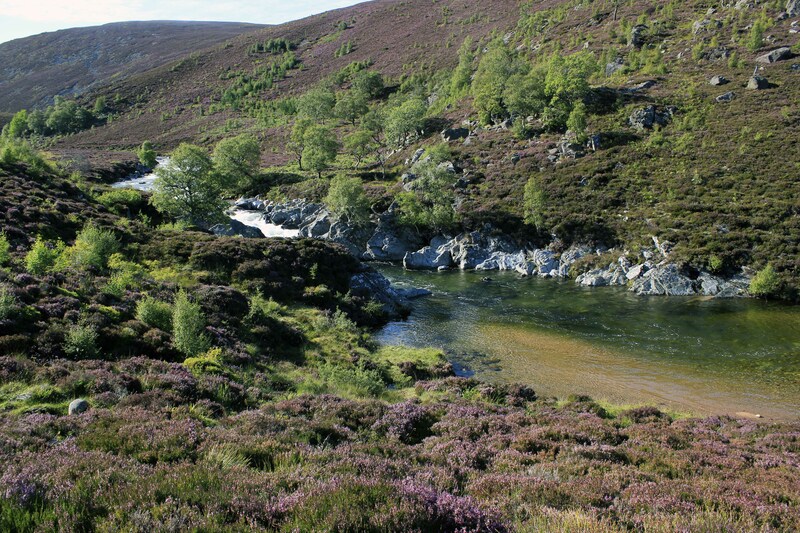 After a brief interlude watching salmon trying to struggle over an imposing set of rapids, it was back on the bikes, and off John and I shot, the irresistible urge to compete undimmed by our advancing years. Not a straight race down the hill, but an unsaid push up every little bit of uphill on the way back to the car park. We swapped victories but on the final final hill John stepped on the gas and my legs just failed me. John made some exclamation which I didn’t quite catch but the gist was ‘loser’, though he was magnanimous enough to remark on my lack of gears as we packed things in the car. Next time. 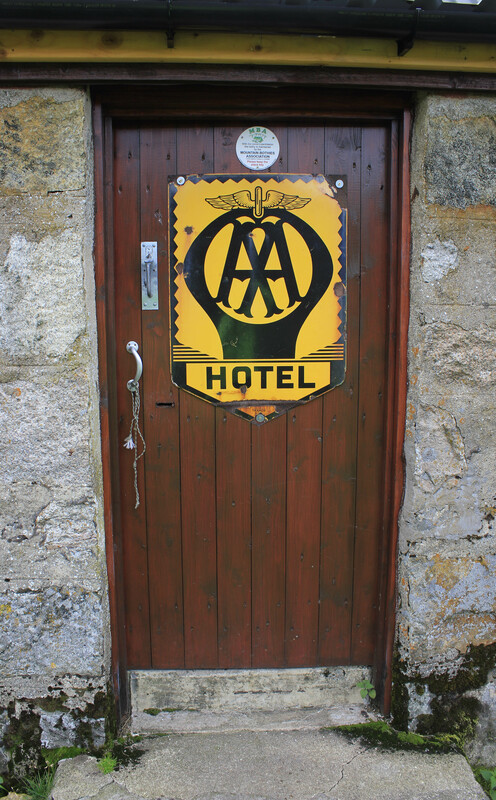 This entry was posted in day trips and tagged Tarf Hotel on September 4, 2015 by bothiesonabike.